WATCH: Carl Teichrib’s Rare Evangelistic Opportunity To Share Christ With Mormon Transhumanist Association—PLEASE WATCH & SHARE! Sometimes questions arise about why SkyWatchTV engages with the subject of transhumanism. Besides alerting the Christian community to the challenges we face by this growing trend, there are opportunities to project the truth of the Gospel in unique ways. The True Legends conference, taking place September 14-16, will be of special interest to transhumanists. SkyWatchTV truly hopes that the Gospel message will be made clear to those who hold to a post-human, techno-salvation. Five years ago today, another Christian researcher was given a unique opportunity to present the Gospel message directly to transhumanists. On April 5, 2013, Carl Teichrib delivered a talk to the Mormon Transhumanist Association. This very well may have been the first time a conservative Christian was allowed to speak as a critic to a gathering of religious transhumanists. Take the time to watch and share this short message given by Carl to the MTA. May it encourage you to share your faith in a world desperately seeking salvation in everything except the one who brings Life, our Lord Jesus Christ. 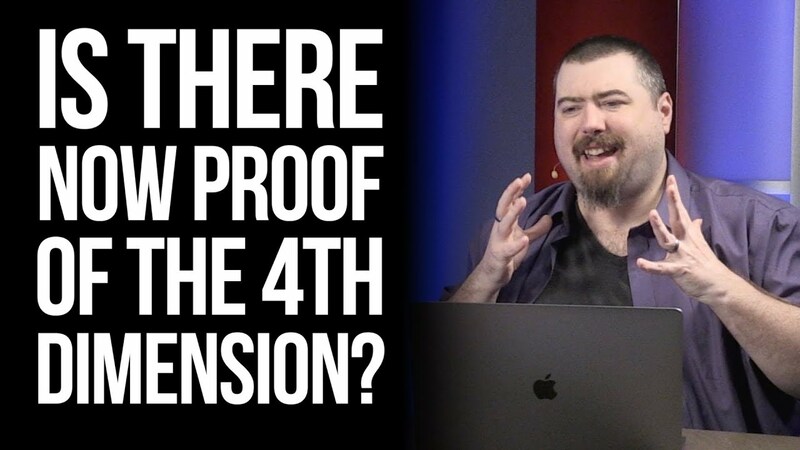 Is There Now Proof Of The 4th Dimension? Has a recent and shocking development in the realm of quantum physics finally yielded proof there are more than three dimensions of space?